From essays about the Salem witch trials to literary uses of ghosts by Twain, Wharton, and Bierce to the cinematic blockbuster "The Sixth Sense," this book is the first to survey the importance of ghosts and hauntings in American culture across time. From the Puritans' conviction that a thousand preternatural beings appear every day before our eyes, to today's resurgence of spirits in fiction and film, the culture of the United States has been obsessed with ghosts. In each generation, these phantoms in popular culture reflect human anxieties about religion, science, politics, and social issues. "Spectral America "asserts that ghosts, whether in oral tradition, literature, or such modern forms as cinema have always been constructions embedded in specific historical contexts and invoked for explicit purposes, often political in nature. 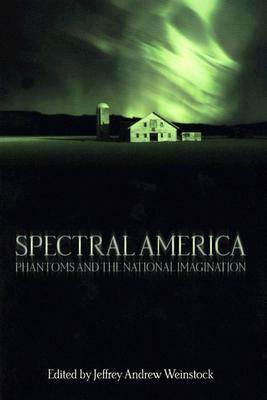 The essays address the role of "spectral evidence" during the Salem witch trials, the Puritan belief in good spirits, the convergence of American Spiritualism and technological development in the nineteenth century, the use of the supernatural as a tool of political critique in twentieth-century magic realism, and the "ghosting" of persons living with AIDS. They also discuss ghostly themes in the work of Ambrose Bierce, Edith Wharton, Gloria Naylor, and Stephen King.